Olaplex is the new, cult-favourite miracle cure your hair desperately needs, especially if you’re no stranger to colouring, bleaching or using heated tools. These external factors, in addition to over-brushing, over-processing and general wear and tear from the environment, are the main culprits when it comes to damage. Thankfully, the Olaplex team are here to answer your hair’s prayers with their tailored three-step system that’s taking the world by storm and transforming clients’ locks for good. To begin your hair transformation, you’ll need to start in a trusted salon that offers Olaplex services. Although the final step in your Olaplex journey can be accessed from home, parts one and two are strictly for professional use only. 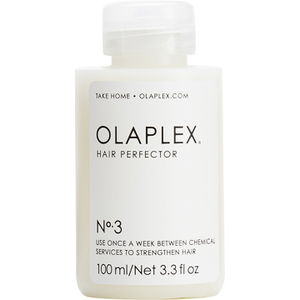 Your hairdresser will use Olaplex Nos. 1 and 2 on you to reconstruct broken bonds in the hair shaft. Unique ingredients and cutting edge technologies work together to create this revolutionary system, which fills in any gaps or damage, for hair that looks and feels better than ever. Say goodbye to brittle or broken strands, and hello to new smoothness and shine! 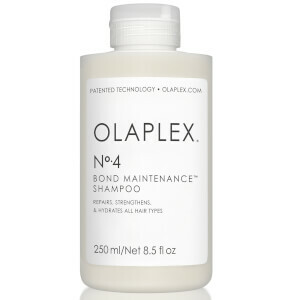 Once you’ve experienced the wonders of Olaplex at the hands of your haircare professional, the take-home fun begins. Olaplex No. 3 is a nourishing, restorative hair mask that can be applied once weekly to upkeep your results. Not only does it fortify the treatments you’ve already received, it also imparts your locks with shine and a beautiful silky soft feeling--you won’t be able to keep your hands from running through it! Dubbed a miracle in a bottle, Olaplex No. 3 is perfect for any and all hair types, from thick and curly through to limp, straight or fine. If you haven’t received Nos. 1 and 2 in-salon, either, you can still unleash the powers of Olaplex. It works as an amazing weekly treatment, and although it won’t have the same bond-restructuring benefits as it does when used in conjunction with other parts, it will still leave your locks feeling amazing. 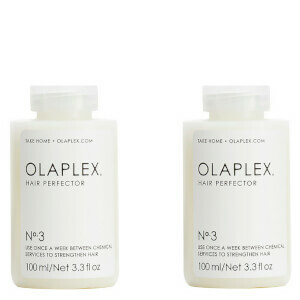 Add Olaplex into your haircare routine and we promise you’ll notice the difference practically immediately, especially if you have already used Nos. 1 and 2 in-salon. Of course, applying excessive heat to the hair, over-processing or colouring extensively will cause the damage to recur, making Olaplex an ideal treatment to receive every few months or so as recommended by your hairdresser. In the meantime, use your Olaplex No. 3 at home on a weekly basis to maintain that beautiful look and feel. Shop Olaplex No. 3 Hair Perfector today with Facial Co, your official stockist. We offer free Australia-wide delivery on all orders over $99, plus select Afterpay at checkout to shop now and pay later.